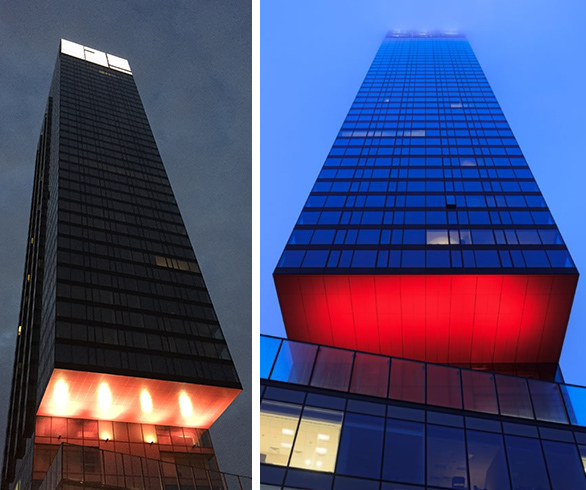 The most important aspect of any architectural lighting project is aesthetics; this is why you’re installing lights in the first place, right? Modern LED fixtures such as the Pulsar Luxeos range offer a massive colour palette, and a plethora of different effects can be achieved. However, you don’t have to use everything at once. Exiting colour effects that look stunning on a piece of modern architecture may look gaudy on a heritage building façade. White light doesn’t have to be static; Pulsar’s Vibrant White Luxeos range can create any colour temperature from warm candlelight to tungsten to clear daylight, and anything in between. Dynamically changing colour temperature creates an effect that’s both subtle and interesting. Similarly, the custom RGBW light engines of the Vivid Colour range can create all manner of mixed colours, from bold saturated shades to more subtle pastel hues, making it easy to achieve any aesthetic goals. Light quality is crucial to a successful project. Poor quality LEDs may exhibit slightly mismatching colours, or light outputs, creating a less than pleasing result. High end LED fixture manufacturers such as Pulsar have a stringent approach to colour binning and use the highest quality LEDs, to ensure consistency. Another important aspect to watch out for is colour rendering; a high CRI will ensure that what you are lighting looks right under white light. If the lights are to dim up and down, smooth dimming is critical. Architectural lighting often makes use of very slow fades, which show up any flickering or ‘steppyness’ in the dimming curve. Consider using 16 bit dimming for the smoothest results. Modern control equipment is extremely versatile, and with the vast possibilities of fixtures such as the Luxeos range LED products, there are masses of possibilities. Consider what level of control is required for the project; do the lights need to turn on automatically at sunset, and off again after a certain time? Does each luminaire need to be controlled individually? Our technical team at Pulsar can offer advice and specify control equipment to meet your needs. It’s all very well having a beautiful lighting installation, but what happens when a light fails? Using lights outdoors over a long period of time provides a unique set of challenges to overcome; the fixtures have to withstand wet conditions, heat, cold, UV from the sun, humidity, dust, pollution and many other factors. A single failed light, or one stuck on the wrong colour, will ruin a light scheme and distract from the overall effect. If the light is in a difficult to access location, which is often the case for architectural lighting, it becomes very difficult and costly to replace failed lights. Longevity, durability and reliability are critical criteria for an architectural luminaire, and are all too often overlooked in favour of cheap and cheerful products. However, if budget constraints are in place, it is often better to scale down the ambition of the project as opposed to compromising the quality of the equipment used. A few well chosen, well placed luminaires will look far more effective in the long run than a large installation of lower quality fixtures, which will exhibit poor colour quality and failures over time.